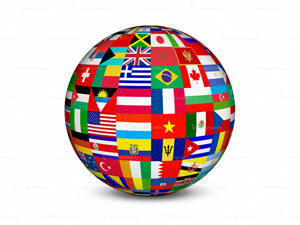 We welcome international orders and we ship worldwide at a very competitive shipping rates. All prices on Pelegrina Medical are in US$ dollars. If you’re a re-seller or a distributor, we can offer competitive quantity discounts. Please contact us at Sales@pelegrina.com and our Sales department will assist you. You can also send your purchase orders to Sales.Order@pelegrina.com for processing. We currently offer Fedex International, UPS and USPS for most locations, however you can contact us and we can provide the most economical option that can suit your needs. For certain countries, restrictions, import licenses, duties and other tariffs are required to import medical products. Before you complete your purchase, please verify with your local customs agency which restrictions can affect your purchase and ultimately difficult to receive the package. Pelegrina Medical does not include tariffs, duties or any other taxes in the sale price or shipping cost. If the package cannot be received due to any of these import charges or restrictions, the shipping company will return the package to our warehouse. In this case, the buyer is responsible for all charges related in shipping from the buyer’s destination to our warehouse. A refund is then submitted to the buyer, after the package is received in our warehouse in its original condition. Please note that packages shipped through USPS Express Mail or Priority Mail International can take 2-6 months to be returned to us, and packages shipped through FedEx International can take up to 3-6 weeks to be returned to us. Shipping charges to and from the buyer’s destination are not refundable. For further information regarding this matter, please contact us at Sales@pelegrina.com and we can gladly assist you.